The camera shutter allows light into the camera and onto the film or sensor. Sometimes there is a delay between pressing the shutter release and the camera responding by taking the picture; this is known as the ‘Shutter lag’. Ironically, while this delay was insignificant on most film cameras, some digital cameras have shutter lag times in the order of hundreds of milliseconds, which may be a minor annoyance to the user. T — keep the shutter open until the lever is pressed again. Each speed in this series is (roughly or exactly) half that of the one below, giving a halving in the amount of light reaching the film, e.g. 1s to 1/2s. Following the adoption of a standardized way of representing aperture, so that each major aperture interval exactly doubled or halved the amount of light entering the camera (f/2.8, f/4, f/5.6, f/8, f/11, f/16 etc. 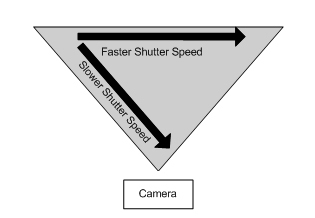 ), a standardized 2:1 scale was adopted for shutter speed so that opening one aperture stop and reducing the shutter speed by one step resulted in identical exposure. In addition to its effect on exposure, shutter speed changes the way movement appears in the picture. Very short shutter speeds are used to freeze fast-moving subjects, for example at sporting events. Very long shutter speeds are used to intentionally blur a moving subject for artistic effect. A typical shutter speed for photographs taken in sunlight is 1/125th of a second. Shutter speeds are very closely linked to movement, use a slow shutter speed (say 1/60 or lower) to introduce some blur in the picture to display speed in the subject. Remember, however, that a slow shutter speed will mean the camera has to be held totally still for a longer period of time. If this can’t be done, the image will usually turn out badly. To work around the problem, use a tripod or use something to steady one’s arms before taking the shot. As a general rule, if the shutter speed is 1/30 or slower, a tripod should be used in order to steady the camera. The images were captured below were taken at different shutter speeds (using a tripod) and show the movement of the small waterfall, in order to capture these the Aperture or ISO (to be covered in next topic) were changed to keep the Exposure correct. With the slow shutter we were able to create a milky image with the water as it flowed while the shutter was open. Use a fast shutter speed if a fast moving subject is to be frozen in the captured image. 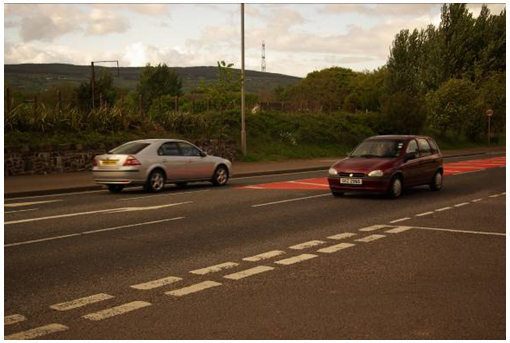 The example below was taken on the Ballynure to Larne road with a shutter speed set at 1/250. The Corsa shows the movement frozen, while the Sierra shows movement. Now, one problem with fast shutter speeds is that a shot can be missed because the shutter opens and closes so fast. To workaround this, you can try one of two things. First, avoid the camera LCD – look through the viewfinder with one eye and use the other eye to spot the subject crossing the camera’s field of view. Second, use a lens that increases the field of view, allowing you more time to take the picture, as shown in a previous image. A rule of thumb is to use the reciprocal of the 35mm equivalent focal length in use. Say you zoom to 125mm, then use a shutter speed of at least 1/125 sec. to avoid camera shake. To ‘freeze’ motion, a shutter speed faster than 1/60 sec. is usually necessary depending on the type and speed of the motion. Besides the speed of your subject, the direction of movement of your subject is also important. The diagram below will explain this concept. For a given shutter speed, if your subject is running perpendicular to the camera, then you need a faster shutter speed to capture the shot. 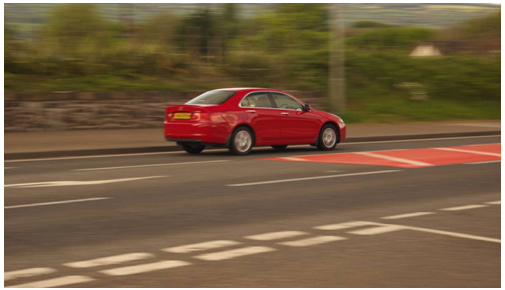 If your subject is running at an angle towards the camera, then a slower shutter speed would suffice. 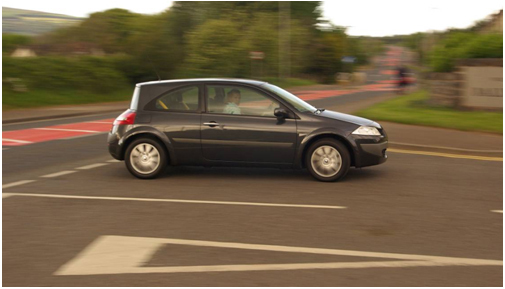 An example is a photo of a car going round a corner would use a faster shutter speed than one coming towards you. To be able to take images without noticeable blurring caused by camera movement is an important parameter in the choice of slowest possible shutter speed for a handheld camera. The rough guide used by most photographers would equate the slowest safe speed for hand held photography = 1/focal length. 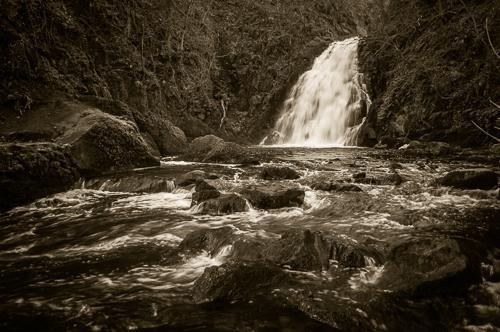 This rule can be augmented with knowledge of the intended application for the photograph, an image intended for significant enlargement and close up viewing would require faster shutter speeds to avoid obvious blur. In the previous posts we looked at Photography Tip #1 – Exposure, Photography Tip #2 – Aperture in the next post we will look at ISO and tie them all together. If you have enjoyed reading this please share it too.